Bright, crisp and palate-cleansing, this tangy salad boasts herbaceousness from an abundance of fresh dill. Canola oil’s mild taste lets all the contrasting flavors shine through. The salad also transforms into an excellent entrée with the addition of grilled or seared fish, shrimp or scallops. 1. For vinaigrette: In medium bowl, whisk together lemon zest and juice, honey, salt and pepper. Slowly add canola oil, whisking briskly and continuously until emulsified. 2. For salad: Gently tear dill leaves a couple of times to break up very large pieces. 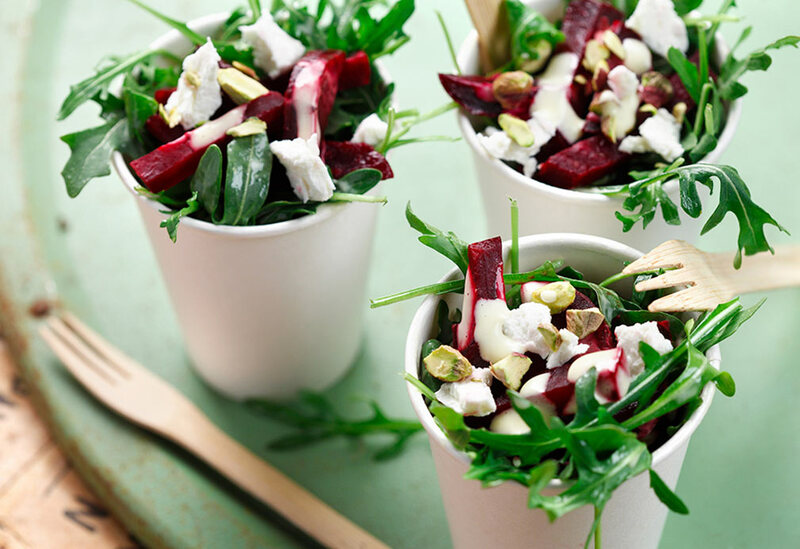 Toss together greens, dill, pine nuts and enough vinaigrette to lightly coat each leaf. 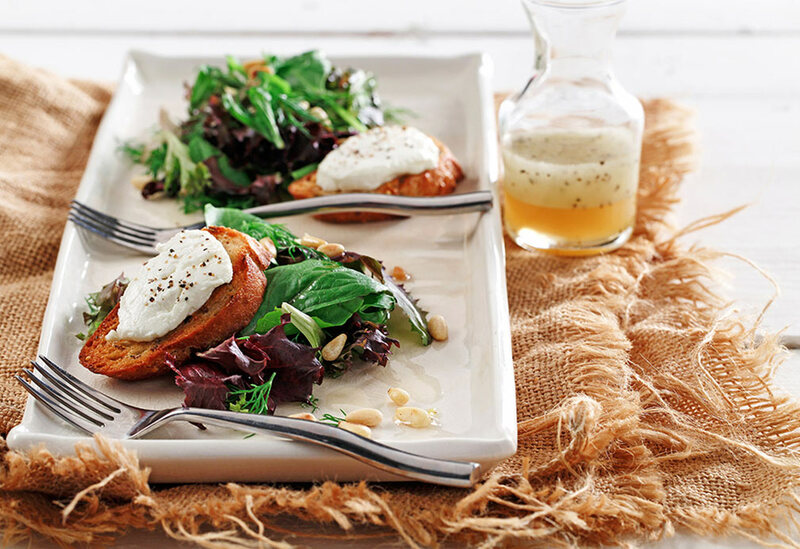 Divide salad evenly between salad plates and top each with warm Goat Cheese Croutons. Serve immediately. 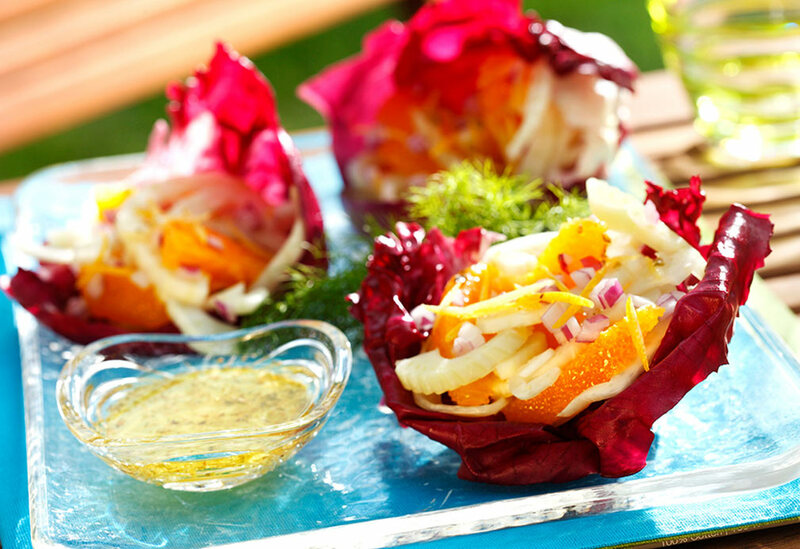 The anise flavor of fennel pairs perfectly with the sweetness of oranges and the peppery radicchio in this refreshing salad. The lemon dressing made with canola oil complements every element of the other ingredients. 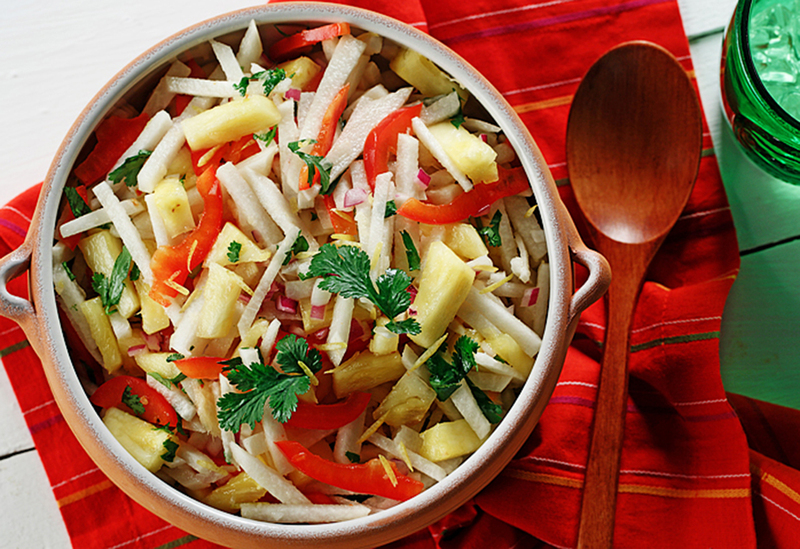 This crisp and refreshing salad is ideal for dining outdoors in the summer sun. Canola oil helps the flavors meld. Beets are complemented in this colorful salad by orange, grapefruit and lemon flavors. Canola oil allows these flavors to shine along with zesty Dijon mustard and champagne vinegar.